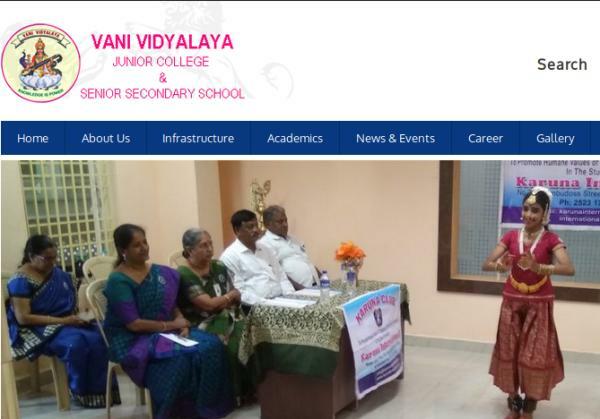 Vani Vidyalaya Sr.Sec.School, West KK Nagar Admission 2019-20. For Pre KG – Minimum 2 years and 6 months as on 1st June 2019 (i.e. children born between 01.12.2015 and 30.11.2016 ) are eligible for registration. For LKG – Minimum 3 years and 6 months as on 1st June 2019 (i.e. children born between 01.12.2014 and 30.11.2015) are eligible for registration. Admission also open for classes UKG to 8th for the academic year 2019-20. Entrance examination is on 23-02-2019. Reporting time and registration between 8.30 am to 9 am. The entrance test between 9.00am to 11 am.